My teaching philosophy is based on what students actually learn, both inside and outside of class, and on what they actually can accomplish after applying the knowledge and analytical framework they have achieved by taking my classes. This means that instead of me just being an “information giver,” and students simply being “information receivers,” I believe in “active-experiential learning,” where the student goes beyond the passive learning of merely reading assignments, listening and taking notes during lectures, and then memorizing and regurgitating packaged information on an exam. Although students still must intake information as a necessary first step in the learning process (reading, listening, and memorizing), students must—beyond that, and much more importantly—“learn by doing;” that is, they must be given powerful analytical tools as a catalyst to respond competently when they are challenged to achieve the important learning objectives of the course. Students must be able to engage and perform in the critical analysis of the course, and even be able to create new relevant and effective paradigms of analysis, often through realistic role-plays and meaningful simulations. In short, there is an old adage in teaching that I believe in: A true educator, instead of trying to be an entertaining “sage on the stage,” should instead strive to be a helpful “guide on the side.” Teaching should be all about the students, and their performance; not all about professors, and their performance. I also believe in using visual learning technology and kinetic demonstrative teaching in the classroom to complement what is being said during class so as to provide greater clarity in class. It often reinforces learning and retention when students can simultaneously see and hear complex concepts as those concepts are considered. For more on this topic please see my law review article: Fred Galves, “Will Video Kill the Radio Star? Visual Learning and the Use of Display Technology in the Law School Classroom,” University of Illinois Journal of Law, Technology & Policy [a peer-reviewed, cross-disciplinary journal, with the National Center for Supercomputing Applications & Institute of Government and Public Affairs] (2004) (exploring learning theory and addressing the pedagogical benefits and critiques of teaching using display technology). 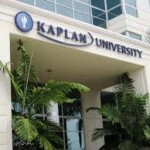 2016, Spring – Online course at Concord Law School, Kaplan University. Course on the art and science of Trial Advocacy, addressing Admissibility Issues, Trial Objections, Oral Advocacy, Visual Persuasion Technology, and the mechanical application, as well as the theoretical underpinnings, of the Federal Rules of Evidence. 2018-2019, – Lincoln Law School/Sacramento- Civil Procedure-This course introduces the student to the language, structure, and complex rule systems governing the procedure and operation of the American Federal Civil Justice System. 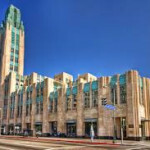 We will also study significant differences between Federal Civil Procedure and California Civil Procedure. 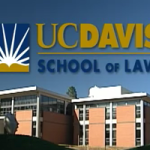 USA Law Orientation at the UC Davis Law School International Program is a series of courses for foreign judges, attorneys and LLM students taking an intensive six-week program on the American Legal System. 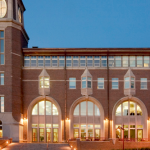 Professor Galves’ Courses in the Program includes: Civil Procedure, Evidence, Securities, Trial Advocacy, Computer-Assisted Litigation, and Corporations. Contact Professor for more details on this course. 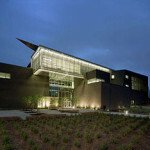 View the link to 2+2+3 Pathway to Law School, where I am Program Co-Director at Sacramento City College. I am dedicated to guiding students to find a quality and affordable path to law school. 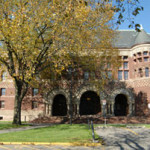 Click on Lincoln Law School thumbnail below to peruse their law school program which is affiliated now with the 2+2+3 program and in strong alignment with my mission that law students find a VERY inexpensive tuition. I use various simulations and role plays in Civil Procedure in order to help students develop a deeper understanding of the subject matter. 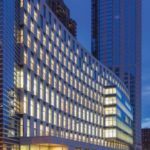 I have the students break into small “law firms” in order to draft a complaint, or an answer, or pre-trial motion to dismiss, draft discovery requests, followed by settlement negotiations, as well as a final summary judgment hearing exercise. “Street Law” is an experiential learning, clinical type of course where law students spend most of their class time out in the field teaching constitutional and criminal law and procedure to inner-city high school students in a course taught at the high schools. The law students coach their high school students in mock trials held in federal courtrooms in downtown Sacramento. 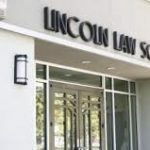 CLICK HERE to connect with Lincoln Law school’s Street Law program. In addition to learning the fast-moving case law in this area, students also learn by applying litigation software to pre-trial case management and electronic discovery issues, as well as computer technology in the courtroom and admissibility issues. 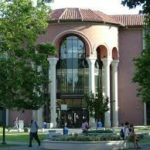 For the past 22 years, I have been a full-time, tenured law professor at Pacific McGeorge School of Law in Sacramento where I taught from 1993 until 2015. In addition to teaching at Pacific McGeorge, I also was a visiting professor at UC Davis Law School, King Hall, for the 1996-1997 academic year, and recently I again taught at UC Davis Law School both in the spring and in the fall semesters of 2014. I continue to teach at UC Davis in the International Program on a part-time basis. Since 2000, I also have taught various course topics each summer for the UC Davis’ “USA Law Orientation Program” for foreign law students and attorneys. Throughout my career, my commitment to teaching has led me to teach various law and law-related courses both at the undergraduate level (Political Science and Economics) and at the graduate level (Law). I am also an Evidence casebook/textbook co-author, as well as an author of other Evidence course books and various other legal scholarship (law review articles).